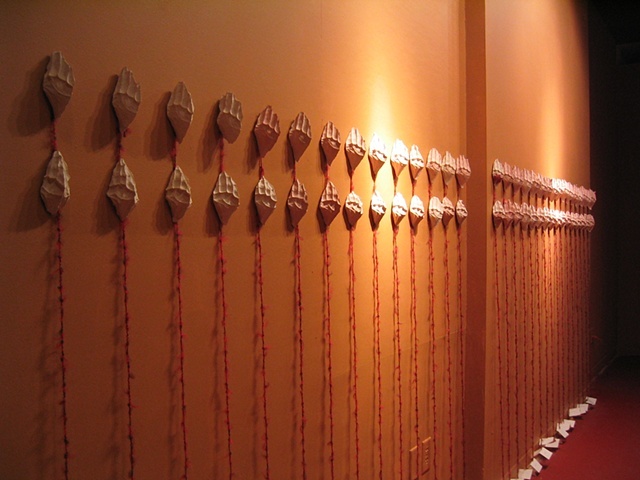 For this project, I worked with my mother to create 31 pairs of casts of the space between our cupped hands. Each pair is attached to a piece of text (one piece of text created each day for the month of March). Each pair took approximately fifteen minutes to make. During the several days that it took to create this piece, my mother and I talked about our family history, in particular her understanding of how various family members journeyed from India to Guyana.